Everything! Could not fault the hotel and staff at all. We will definitely be returning. Thank you for making us feel very welcome. Nice old hotel with many original features in the centre of town. Good bar & good breakfast. Beds comfortable, clean sheets - bedroom well presented. Food was good. Handy location for nearby family. Facilities ok, but poor shower and room could have been cleaner. Breakfast was lovely and staff very pleasant. The hospitality, the museum pice open fire in the bar and the hotel overall. Wonderful. The hotel was fantastic staff were excellent beds were comfy everything was perfect for us. Friendly staff, comfortable rooms, nicely situated. Breakfast was great too. 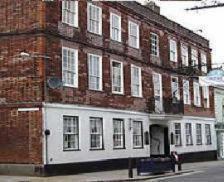 One of our top picks in Harleston.The Swan Hotel combines centuries-old hospitality with the latest modern amenities. There are 16th-century beams, huge inglenook fireplaces and an arched courtyard. In Harleston, the Swan Hotel has an excellent carvery restaurant. There are function rooms at the Swan, and the hotel can cater for weddings and other large social events. Swan Hotel has been welcoming Booking.com guests since 19 Mar 2010. When would you like to stay at Swan Hotel? House rules Swan Hotel takes special requests - add in the next step! Swan Hotel accepts these cards and reserves the right to temporarily hold an amount prior to arrival. Staff on arrival could have been more attentive. Bathroom - 3 of us in 3 different rooms, in my room shower was a trickle, in another it wouldn't get anything more than lukewarm. And toilet wouldn't flush - handle came off internal plunger twice. Heating - absolutly roasting upon arrival and the radiator thermostats either didn't work or were broken. Bathroom - shower was poor and toilet had no lid. The furnishings both in the room & in the hotel generally were a little 'tired' & we felt the place could do with a bit of an upgrade. We ate in the restaurant: the food was okay, but when we were asked how our food was, by a staff member, and we said, Fine, he found it necessary to drum his fingers across my back as he went past - which made me feel extremely uncomfortable and disquieted: this is NOT appropriate behaviour by a staff member to a guest. At breakfast next day I made sure I had my back to the wall, facing into the room to ensure I was not touched again. Fortunately the staff member was not on duty then. The overall Hotel/pub was nice with a comfy feel to it. The building itself is obviously old and is pleasingly quaint. The bar was busy, it being Friday night, which was to be expected, but it interests me that a number of the clientele found it necessary to show what a good time they were having by laughing long and loudly!